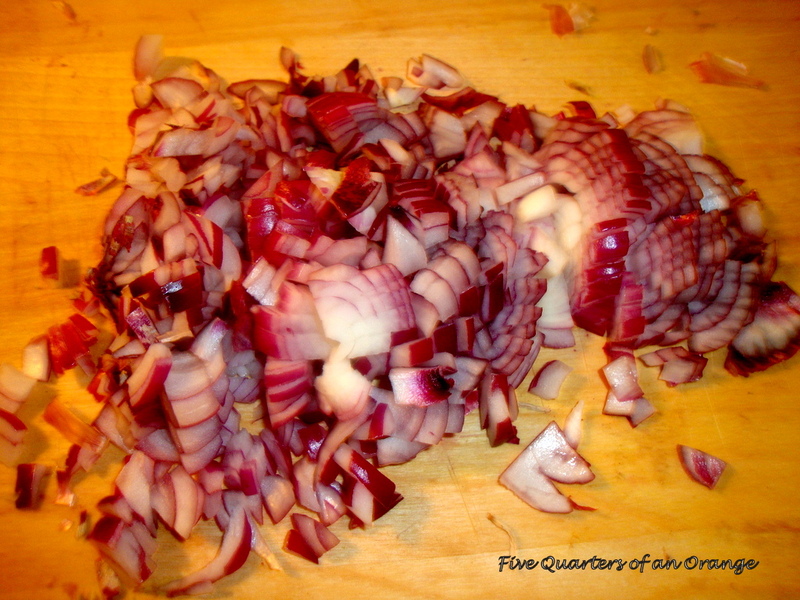 Onions Vs tears… Onions won!! 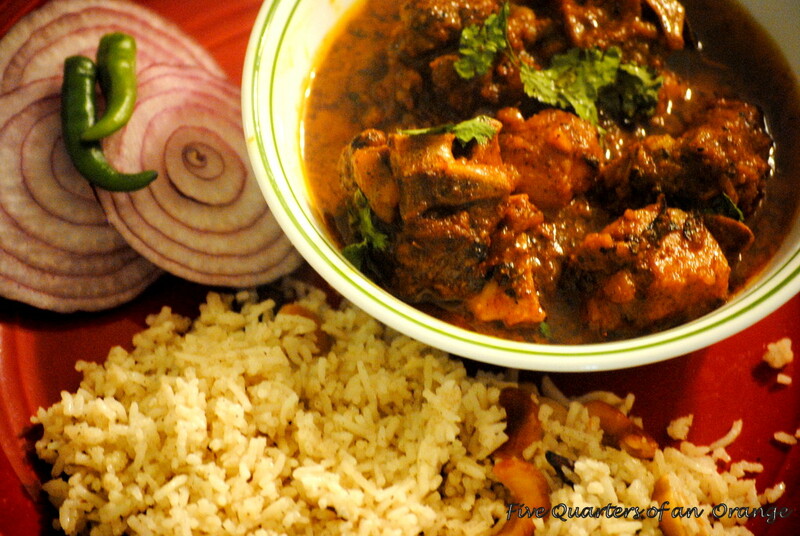 So Saturday went all grocery shopping and Sunday was dedicated to Mangsho Bhaat.. 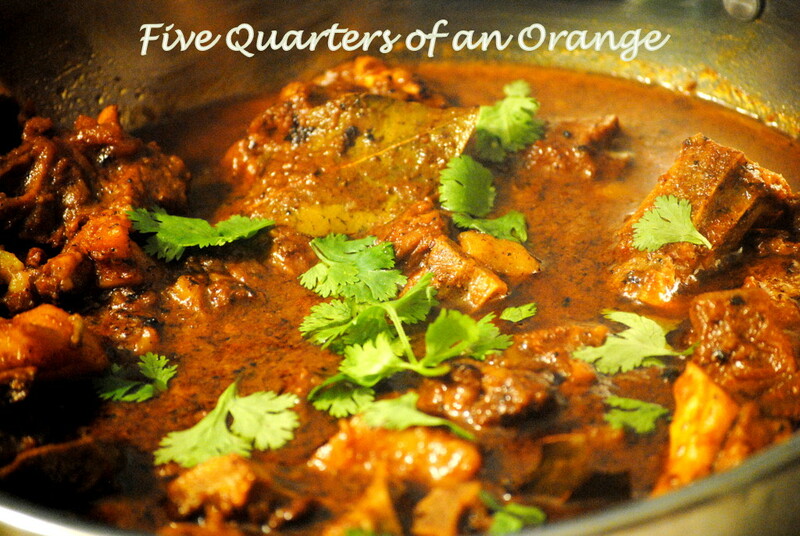 The best thing about this recipe is that it has simple ingredients and one of those no fuss easy to make curry. Some recipes should not be messed with as well. This particular one has been handed down by my mom.. so no hanky panky there.. As a child I still remember the whistles of the pressure cooker, the aroma of the spices and the impatient wait… All seemed to come back to me, except this time it was P doing all the antics.. Ingredients and Recipe for Mangsho Bhaat..
Start with marinating the meat with 4 table spoon of yogurt and 2 table spoon of Mustard oil and leave it for about an hour. 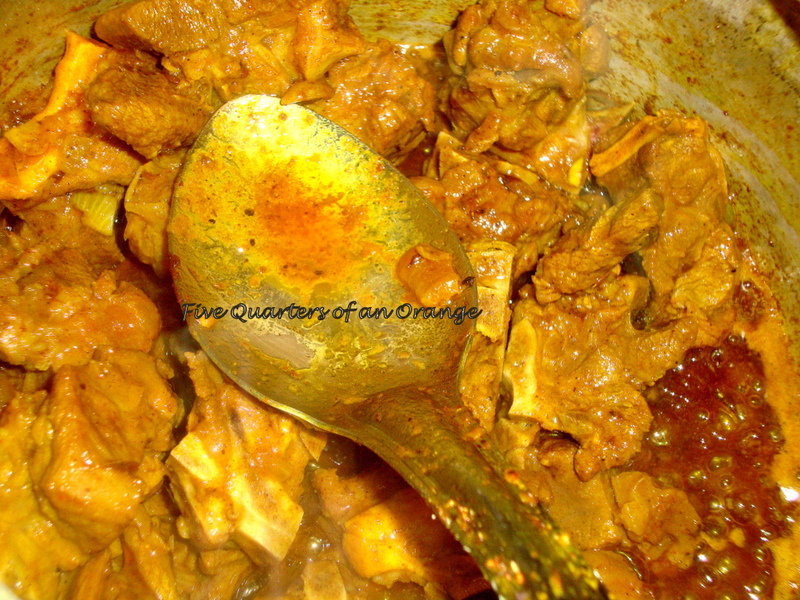 This tenderizes the meat and at the same time flavours it with mustard oil. Gently fry the potatoes and set it aside. Next chop the onions and then chop enough ginger and garlic, to get 2 table spoon of paste ( I used about 10 fat garlic cloves and 5 inches thick ginger).. Then get garam masala ready ( you would need 7-8 cardamom pods, 2 thick cinamon stick, 12-14 cloves and handful of pepper corn) by grinding the spices in a blender together..
Now that all the spices are ready, start with heating the kadhai or wok and add mustard oil about 5-6 table spoons. Make sure the oil is hot as in you can see smoke rising from the wok. Add the onions, and the bay leaves, saute them for a while thill the onions start to turn translucent, this is when we add the ginger galic paste and the chilly paste. 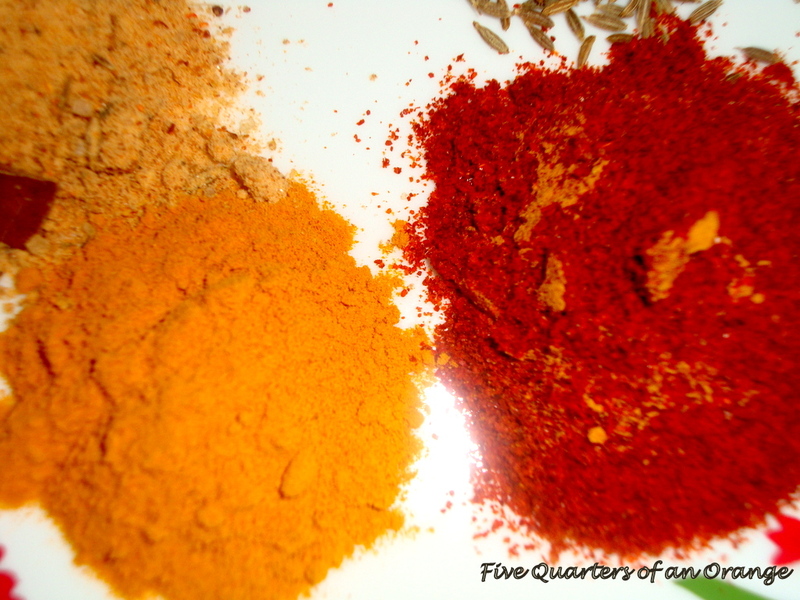 Temper them along with the onions and when you see the oil separating, add the powdered spices, Garam masala (2 tbs), corriander, red chilly powder and turmeric. Continue to temper at medium heat and make sure the spices do not burn. 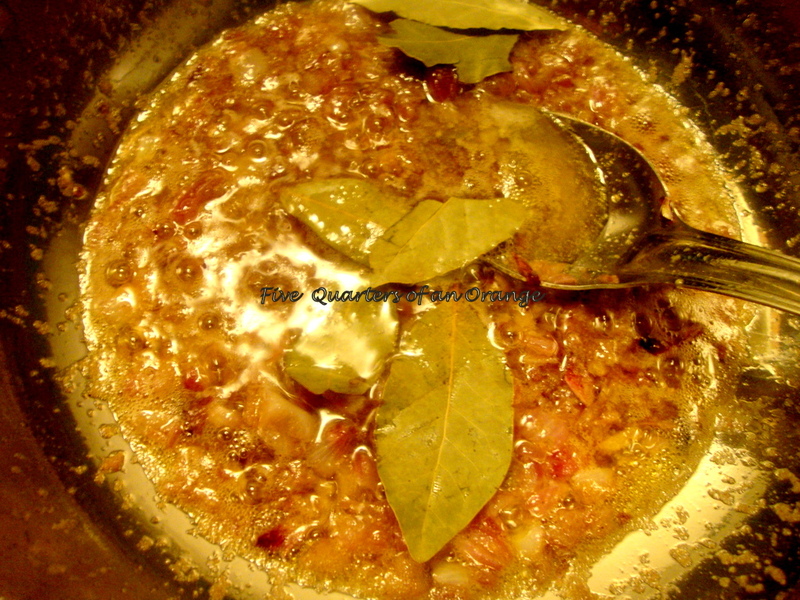 When the oil starts to separate add the marinated meat and salt , slightly incresing the heat, continue to saute the meat (this is called kosha in bengali). After about 15-20 mins of sauteing, Get the pressure cooker ready, add some ghee (clarified butter) and the remaining garam masala and temper it in the ghee. 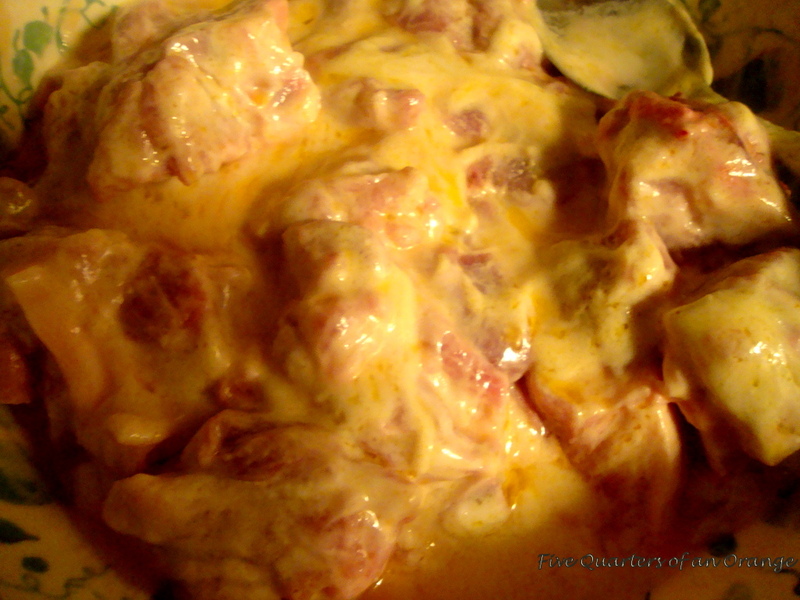 Then add the meat and mix it well with the ghee. Then throw in the potatoes and about 2 full cups of water, more water should be released when it is finally cooked. Cover the lid of the cooker and leave it on the range at full heat for about 5-7 mins, should give about 2 whistles. Just before closing the cooker lid!! Sometimes, as an audience you feel proud of the subject you are being subjected too 😉 And as a loyal audience of your culinary skills, i must say.. I am really proud of my wife ..!!! i am proud of you my dearest nandinee….i am glad that you are a part of our family…all the best for all your adventures with your recipes and your husband….may god bless you and we may see more of such wonderful recipes….